Even favorite games can use an upgrade every once in a while. 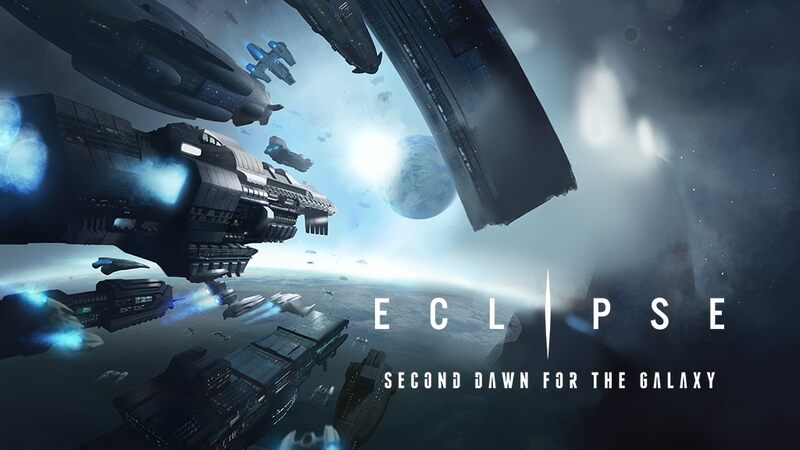 Eclipse: Second Dawn for the Galaxy has been widely popular since its original release. But things weren't exactly perfect, and so Kolossal Games is looking to make it even better. They're running a Kickstarter for a new edition. - - *Exploring and placing a new hex. - - *Destroying all Ancient(s) / Guardian / GCDS in a hex at the end of Combat Phase. - The first player to pass receives 2 Money. - Game lasts only 8 rounds. - One Influence action may not be used in the same hex twice. - If you have Diplomatic relations with another player, you may move through his empty hexes (ie. hexes without a Ship). If you have Ships in another player’s hex at the end of your action, it is considered an attack. - Player elimination when all discs and Ships removed from the board: same as bankruptcy. - Balancing to the starting ship blueprints as well as starting resources. - Changes to starting technologies. - Revisions to base game hexes. - Additional outpost hexes which were first introduced in RotA as Ancient Homeworlds. - Galactic Center has significant changes. - Minor changes in prices. - Inclusion of Rare tech tiles. Ship pack 1 comes in the base game, new miniatures for Orbital, Monolith, Ancients, Guardians, and GCDS. - All dice are custom with hit and miss iconography. - Additional 6 blue dice. The campaign's already up and over its funding goal with still 19 days left to go.